Baja’s Valle de Guadalupe, or Guadalupe Valley, is Mexico’s premier wine region, producing 90% of all of the wine that comes from Mexico. Although the area has been producing wine for over 100 years, just in the last decade has this wine region experienced the incredible growth that has turned it into an up-and-comer on the global scene. 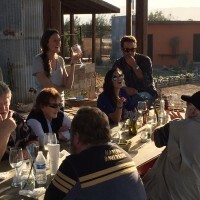 It’s now become an epicenter of northern Baja for boutique wineries, gourmet restaurants and chic hotels, garnering the attention of publications such as The New York Times, Wall Street Journal, Condé Nast Traveler and the LA Times. 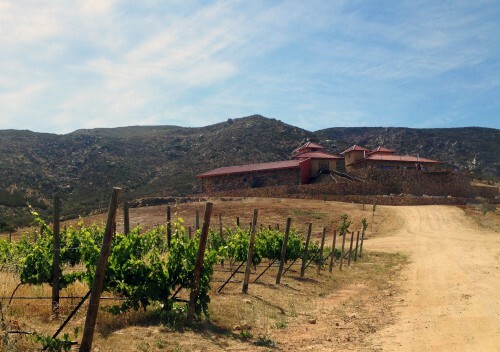 Many compare the Valle de Guadalupe to California’s Sonoma County as it was decades ago. The atmosphere is relaxed and rustic but sophisticated at the same time. You’ll drive for miles on a dirt road to get to a gourmet restaurant where you’ll enjoy a six-course meal with a full wine pairing. There are now over 150 wineries in the valley with more opening every year. While many wineries and restaurants in the Guadalupe Valley are open all year long, the summer is really when the valley comes to life. Seasonal campestre (country) restaurants open up from May to October. Many have outdoor seating with sweeping views of the vineyards and valley as you enjoy your wine and artisanal, locally-sourced food. The famous Vendimia wine harvest festival takes place in the Guadalupe Valley over the course of a few weeks at the beginning of August every year, which can be a fun, but crowded, time to visit the valley. 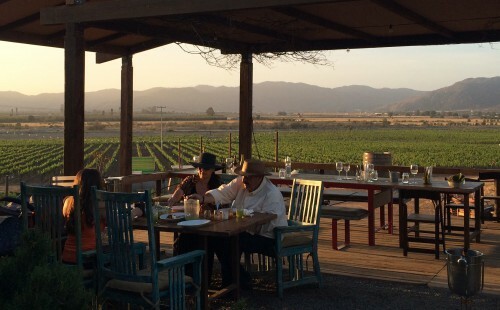 Just two hours south of San Diego and half an hour from Ensenada, the Valle de Guadalupe is a fantastic weekend escape. 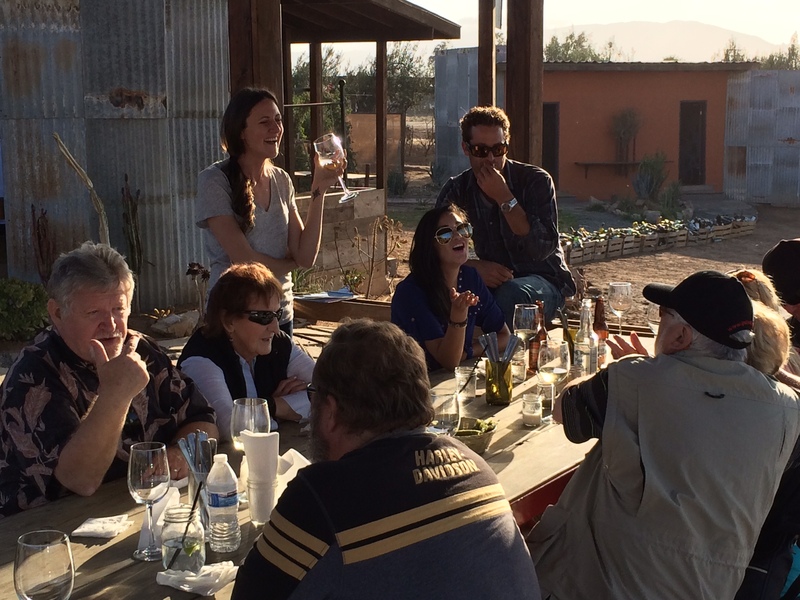 If you’re not sure where to start, try joining our sister company Baja Test Kitchen for one of their wine & culinary tours of Valle de Guadalupe. For more information, see our Trips and Tours page. -Visit Rancho Cortes, a working dairy and meat ranch where you can the cheese making process in action. Don’t miss their cheese tasting platter for $3 that comes along with a sample of their famous olive oil. -Stop by La Escuelita where oenologists go to study the art of winemaking. There’s a small outdoor café where you can enjoy a bite to eat and a glass of wine. All of the buildings at the school are constructed of different and unique materials such as bottles, straw, wood planks or corrugated metal. -Check out some of the over 150 wineries in the region. Large, boutique and everything in between. 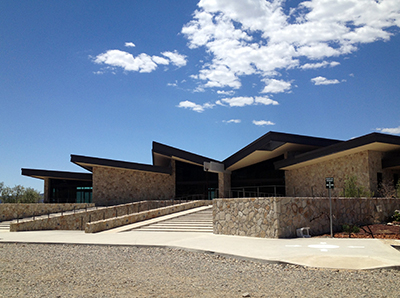 -Don’t miss the new museum in the valley – the Museo de la Vid y el Vino. For just $4 you can learn all about the winemaking process and the history of the Valle de Guadalupe. If you don’t speak Spanish, they’ll give you an English-speaking guide to personally take you through the museum. -Check out some of the gourmet restaurants in the Valle de Guadalupe such as La Esperanza, Laja, or Corazón de Tierra where you’ll be treated to seasonal, multi-course meals paired with wine. -Have a breakfast of machaca con huevo at La Cocina de Doña Esthela, a local hole-in-the-wall eatery recently named “Best Breakfast in the World” by FoodieHub. -Take a behind-the-scenes wine tour at wineries like Monte Xanic, Las Nubes or Clos de Tres Cantos. -Eat at one of the outdoor seasonal campestre restaurants such as Finca Altozano, or Deckman’s el en Mogor where you’ll enjoy beautiful views of the valley as you eat farm to table meals and sip on wine. -Stay at one of the valley’s bed and breakfasts or boutique hotels to truly experience the tranquility and peacefulness of the Valle de Guadalupe. Each year for a few weeks in August, the Valle de Guadalupe celebrates the wine harvest festival, or the Fiestas de la Vendimia. Wineries and restaurants hold galas, dinners and parties celebrating the harvest and local food and wine. For more information on the Vendimia wine harvest festival as well as a full calendar in English, See our Valle de Guadalupe Vendimia 2017 page. With the way that the Valle de Guadalupe is growing, it can be difficult to keep up with all of the new restaurants and wineries as well as the best places to stay. For the best that the valley has to offer, as well as our recommendations on places to eat and drink, see the DBTC Blog for stories and photos. Adding to the rustic and intimate feel of the region, there are no large hotels in Valle de Guadalupe. Most accommodations have fewer than eight rooms and bed & breakfasts and boutique hotels are joined by more unconventional accommodations such as glamping, skyloft eco cabins, vintage airstreams, and even bubble rooms. 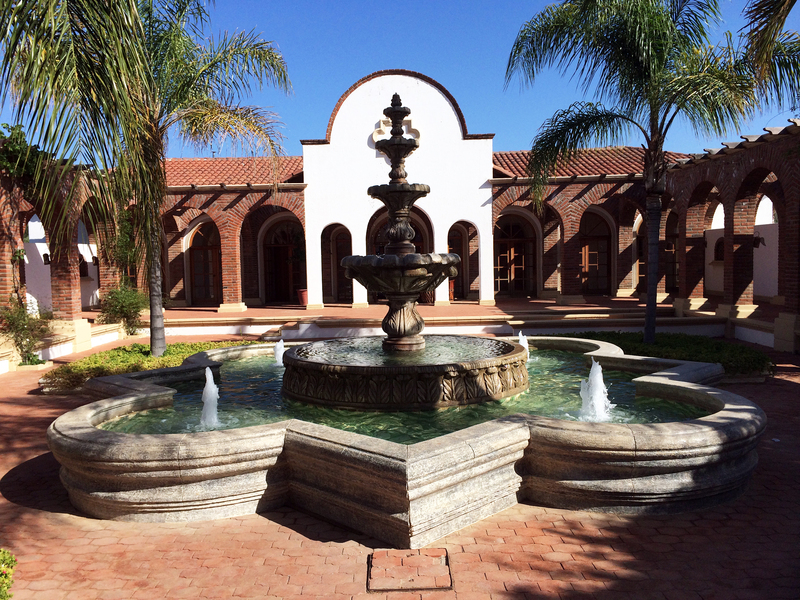 See our Valle de Guadalupe Hotels page for listings of accommodations in the region. With all of the new wineries and restaurants opening in the Guadalupe Valley, it can be difficult to know the best places to go and how to get there on the maze of dirt roads that comprise the valley. If you’re looking for an introduction to the valley, or you want to spend the day relaxing without worrying about driving, we recommend a tour with our sister company, Baja Test Kitchen. They can accommodate groups of two to thirty people and will design a custom tour for you to enjoy wine tasting at some of the best wineries the region, and dining at the campestre restaurants the valley is famous for. Roundtrip transportation from San Diego or northern Baja is included. -If you have an iphone or android, download the free “La Ruta VCC” app (larutavcc.com). It will help you with getting around to the various wineries, restaurants, and hotels around the Valle de Guadalupe. Because of its location inland from the coast, temperatures in the Guadalupe Valley can be warm with highs reaching 100 during the day in the summer months and the 70s during the day in the winter. Nighttime is always cool in the Guadalupe Valley as the fog rolls in, cooling the temperature and creating the perfect atmosphere for growing grapes.